As there are no dependencies on existing templates, they can be deleted from a publication at anytime. 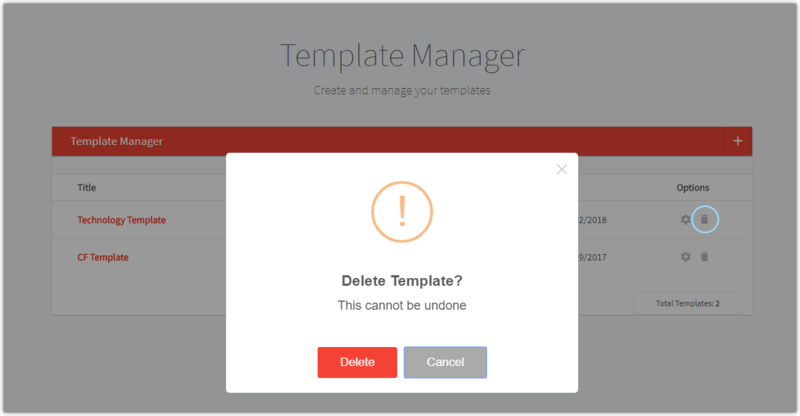 Navigate to the template manager and locate the template you wish to edit. From the 'Options' column, click the 'trash' icon. A 'confirm' prompt will be displayed. Click 'Yes, Delete it'. The template will be deleted. Deleting a template is permanent and cannot be reversed. Deleting a template has no effect on articles already created from that template.